Thousands of Canadians with mobility challenges rely on wheelchairs every day. While they offer an independent mode of transport, accidents involving wheelchairs can have significant repercussions, with users often being seniors, people with disabilities or those vulnerable to more serious injury. Airbags have been widely used to prevent injuries in automobile accidents for many years and Vancouver-based Mobisafe Systems Inc. has been examining ways to make wheelchairs safer using similar technology. They approached the School of Engineering Science at Simon Fraser University, seeking academic research expertise on how to develop an “airbag” safety system for wheelchairs using a foam cushion. Through a Mitacs-Accelerate internship, Masters of Applied Science student Hossein Dehghani took on the challenge of developing a foam-based cushioning airbag for wheelchair use. 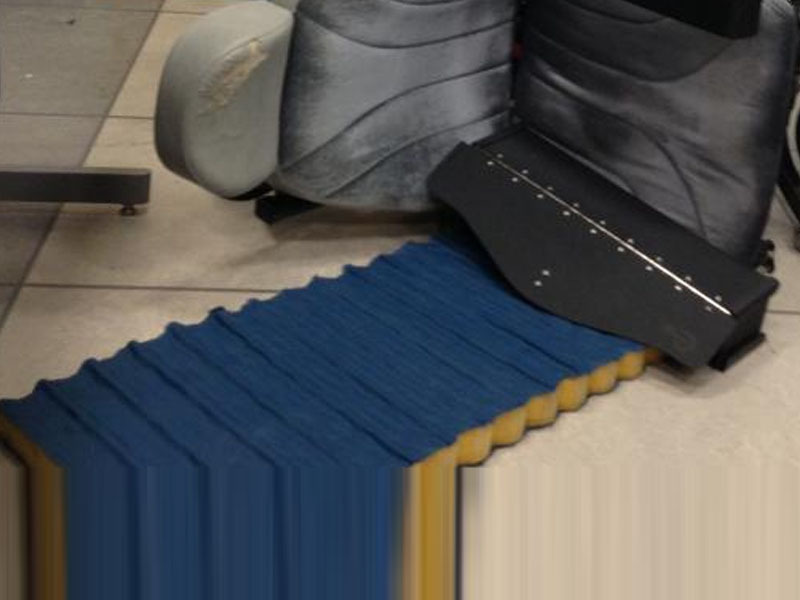 The system uses an accelerometer and gyroscope sensors which are integrated with a programmable micro controller to detect when the wheelchair is tipping over, and then deploys a cushioning foam mat around the wheelchair to prevent the user from hitting the ground. “The big problem with a traditional system in a car is that the mechanism uses compressed air to rapidly inflate the airbag, and it is only for one-time use. After it has been deployed, it has to be replaced by a mechanic, and that becomes very expensive,” Hossein explained. A custom-made head form and slow motion cameras were used to help determine the best size, pattern and deployment of the foam airbag to maximize its effectiveness. Mobisafe Systems Inc. is now planning to commercialize the airbag system, in the hope it will make wheelchairs safer, prevent injuries and reduce health care costs. Director of Business Development at MobiSafe Systems, Ali AbdulHussein, said the Mitacs-Accelerate program helped make the wheelchair airbag system a reality.